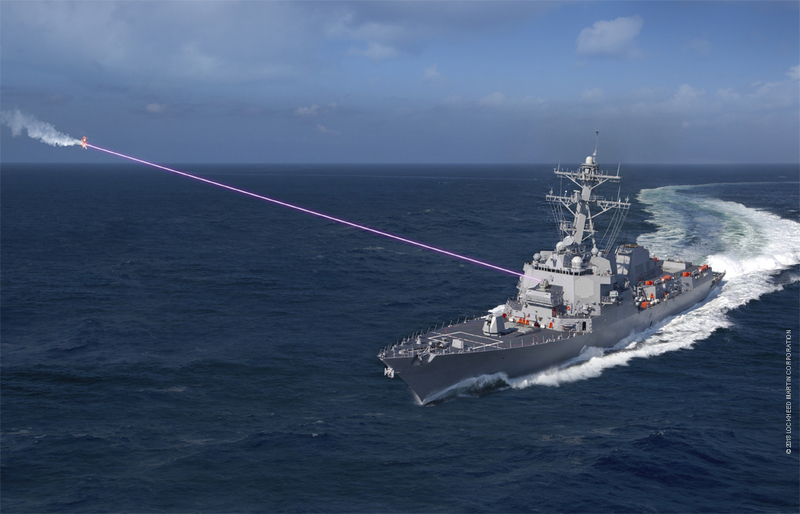 WASHINGTON: Integration of lasers on ships and other weapons is the biggest challenge today— not power. Officers and officials say there are lots of devilish details to deal with before the US military can employ laser weapons on the battlefield, from beam control to targeting to controls you can operate without a PhD. The Navy’s already experimented with a 30-kilowatt laser, LaWS, on the USS Ponce, and this year it will field a “roll-aboard” laser to blind sensors, ODIN, that can go on “anything that’s floating,” Boxall told last week’s Directed Energy Summit. But LaWS and ODIN are stand-alone systems that don’t connect to the combat system that controls a ship’s permanently installed weapons and sensors. That means, among other things, that the laser doesn’t get targeting data from the ship’s radars and must rely entirely on its own built-in optics. Conversely, the laser’s optics can’t provide targeting data to any other weapon on the ship. And you really want the ships’ other weapons to be able to take advantage of the laser as a sensor: Lasers require extremely high-quality optics to work, and, when not firing, the crew of the Ponce found theirs useful as a super-telescope. In fact, Boxall said, lasers are so precise — both as sensors and as weapons — that they both supply and demand much more data, much faster, than the radar-guided missiles that the Navy’s Aegis fire control system is built around. 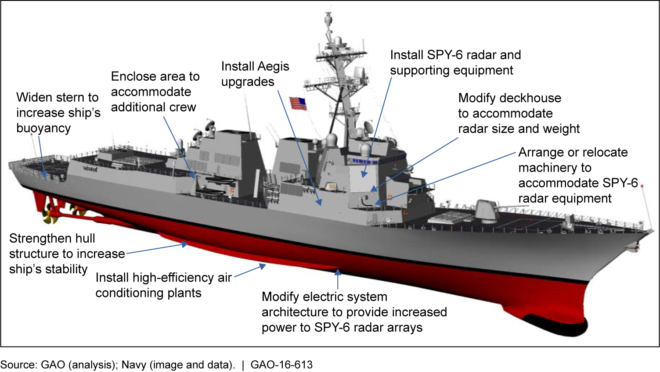 Getting lasers and Aegis to work together is a top priority for the Navy’s HELIOS laser program, which in 2021 will install a 60-kW-plus weapon on an Arleigh Burke destroyer and — unlike LAWS and ODIN — integrate it with the Aegis combat system. The HELIOS laser will actually replace an existing, proven missile defense weapon, a Phalanx Close-In Weapons System (CIWS) gatling gun. While HELIOS will integrate with the Aegis combat system, the admiral said, it still relies on its own dedicated power supply. In the long run, the Navy wants lasers that draw on the ship’s regular electrical system, but modern ships have less and less power to spare as the Navy upgrades their electronics, particularly with the new Air & Missile Defense Radar (AMDR) going on the newest Arleigh Burke destroyers, the Flight III variant. It’ll actually be easier to power a laser on the smaller frigates the Navy is about to buy, said Boxall, because that’ll be a new class whose margin for growth hasn’t yet been eaten up by upgrades. Ultimately, Navy leaders say they want a new cruiser design built for much high power levels. 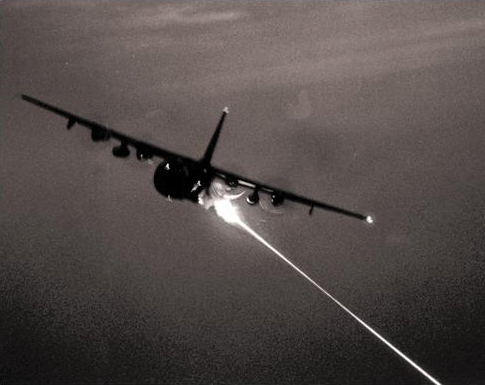 As Breaking D readers know, Special Operations Command has a similar challenge, but in even tighter quarters: They want a 60-kilowatt weapon on their AC-130 gunships, replacing an existing 30 mm cannon but not impacting the rest of the airplane’s on-board arsenal. That’s the same power as the initial version of the Navy’s HELIOS, but instead of going on a 8,000-10,000 ton warship, it’s going on an aircraft with a maximum takeoff weight of 77 tons. “It a really challenging math problem in terms of SWAP,” (Size, Weight, And Power) said Lisa Sanders, SOCOM’s science & technology director. The laser will weigh more than the weapon that it replaces — about 8.5 tons counting gun, ammo, mounting, etc. — and the aircraft can take the extra weight,, but the design is tightly constrained, she said. SOCOM is also working with the Army on a helicopter-mounted laser, Sanders noted, but that’ll be built into a pod and carried externally, rather than tightly integrated into the aircraft itself. Neither laser program has finalized requirements yet, she said. 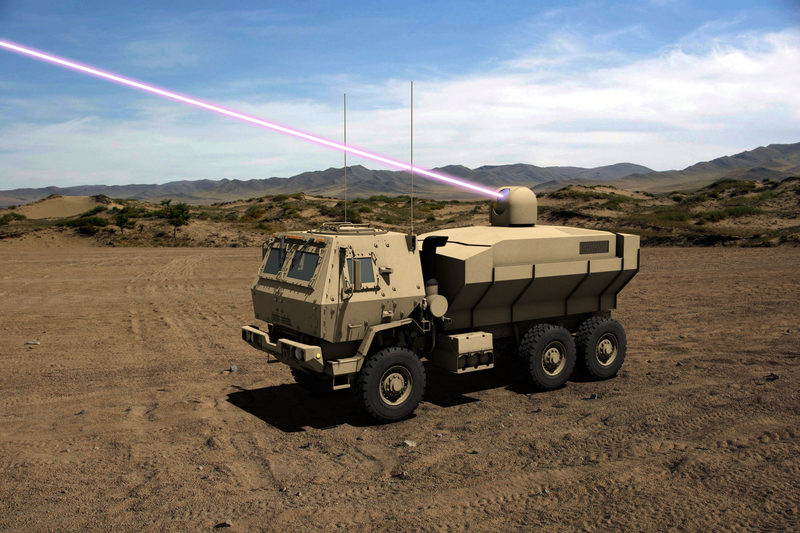 While the Navy and SOCOM worry about integrating their lasers, Army officials at the directed energy conference were still focused on the laser weapons. Like Boxall, they seemed sanguine about power levels — for good reason. 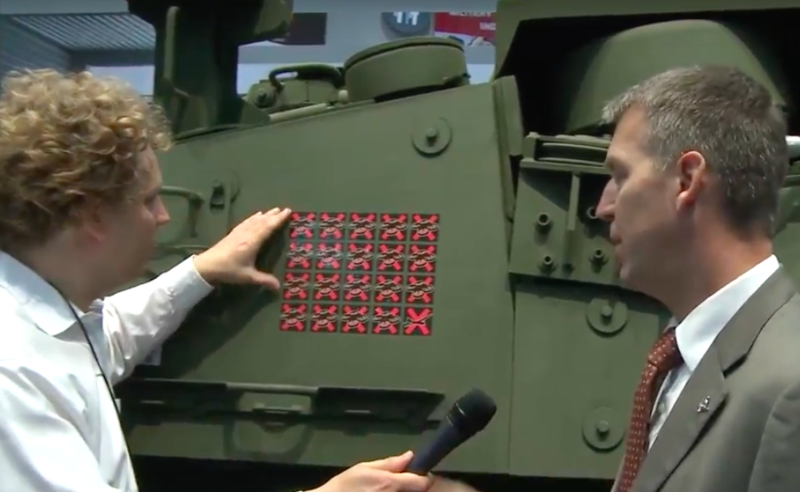 One particularly successful Army project, to put a drone-killing laser on an 8×8 Stryker vehicle, already soared from two kilowatts to 10 and is on track for 50 kW in 2021. But there’s plenty left to work out. “Beam control is an area where we need a little bit more help,” said Craig Robin, a senior scientist at Army Space & Missile Defense Command. That’s the complex and highly classified science of getting the laser to focus on a precise point on the target and stay focused on that point, like a blowtorch, as the target moves. Kill count: A Boeing rep shows us how many drones the Stryker-mounted 2-kilowatt laser has shot down in testing. Beam control requires precise measurement not just of the target but of the intervening air, since moisture, dust, and turbulence — invisible to the human eye — can change moment to moment in ways that weaken and distort the beam unless compensated for. The lower your altitude, the thicker the air and the worse the potential distortion, so Air Force has the least to worry about here, Navy surface ships have more of a problem, and Army ground vehicles grinding through the mud have the most. The good news, Robin says, is you don’t need a full power laser to test for these effects, just a low-power surrogate and a calculator to scale up the results. (They’re purely linear, he said: If a 1-kW laser suffers x interference in certain conditions, a 100-kW laser will suffer exactly 100x). The Army’s sufficiently confident they’ll work out beam control that they’re already investing Manufacturing Technology (MANTECH) funds to improve production of key components such as optics and laser diodes. Given the technical and tactical complexities — and the split-second timing required to shoot down incoming missiles or swarming drones — the operator will need the help of some sophisticated software, perhaps even a form of artificial intelligence. Of course, once you start linking AI with any kind of lethal weapon, you get into a whole world of controversy.